Jen has, for a long while now, been mildly disturbed by my fascination with Martha Stewart. Admittedly, it’s a bit extensive: I’ve got multi-year subscriptions to her Living and Everyday Food magazines, quietly read The Daily Wag (her french bulldogs’ blog) daily, and once tried to steal my friend Michael’s ex-girlfriend’s dog (named… drum roll… Martha Stewart). Oh, and then there’s the recent foray into Ball canning jars and seasonal pickling, the frowny face I make when looking at sad flowers in an unbalanced vase, my fondness and collection of coasters. God, I love coasters. I love Martha, man. She scares me and I love it (Funnily enough, the same can also be said of my eternal ladycrush, Jen). I mean, ’nuff said. Should I even continue? Should I EVEN CONTINUE? 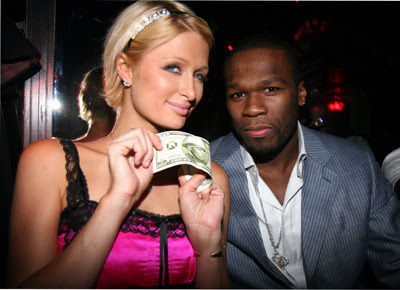 I’ve never really been a fan of Paris Hilton, but not for the obvious reasons. One time, while I was standing in line at the creepy Rite Aid near my house that Danny Bonaduce and Courtney Love frequent, Paris elbowed me out of the way so that she could thumb through the tabloids and find pictures of herself. The only other time I’ve been elbowed out of the way by a celebutard was when Martha Stewart cut the women’s bathroom line–which stretched for many sequined miles–in front of me at an awards show. Is it weird that both of these women went to jail? The bill came to 1.8 million yen, about $16,000 US. Through an interpreter, Paris asked for a 5% discount. The clerk agreed, but then asked for an autograph. Paris said she’d give the signature up for another 5% discount. The clerk said she couldn’t do that, but the store ended up giving Paris 10% off anyway, even though haggling is just not done in Japanese retail stores. What a cheap whore! Li-trally!